Hi!! 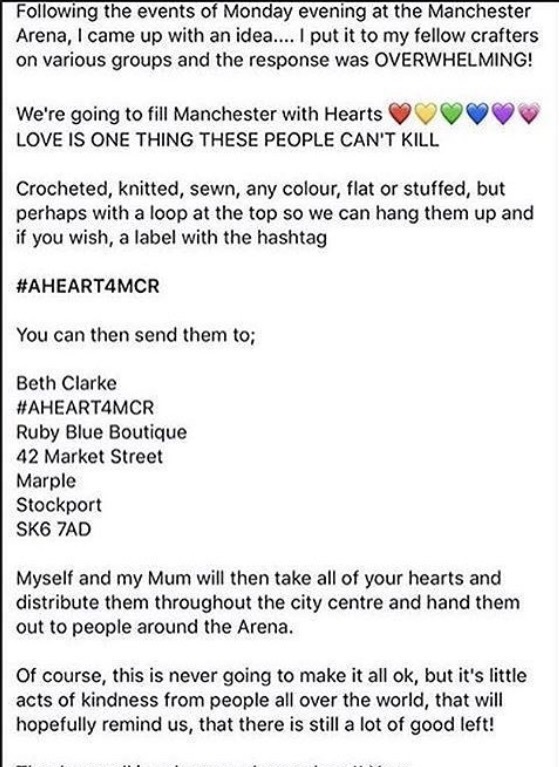 I wrote a blog post the other day about the manchester attack and then swiftly deleted it, it was about how my daughter was at the awful Manchester event on Monday, as soon as I posted it I felt guilty, for being so upset that she had been caught up in it, it was non crochet related, and some May of read and thought ‘come on! She got out safely!’ And she did, no injuries just emotional. We were lucky and I think I needed to remind myself of that, anyhoo…..
Like Beth says it will never make it all ok but it’s a way we can show an act of kindness from all over the world, so can I ask that my lovely followers do the same? I’ll be making a few today and getting them in the post too. If your looking for an easy and quick heart pattern there’s one for a valentine heart garland on my patterns page, it’s nice and easy. Never apologize for gratitude about the safety of your family. I love the heart idea! I read that original post and was blown away by the insight it showed me into how all the families of those involved must have initially felt. Thank you for sharing and I’m glad your daughter is safe! Also I will try to participate in this #lovewins! 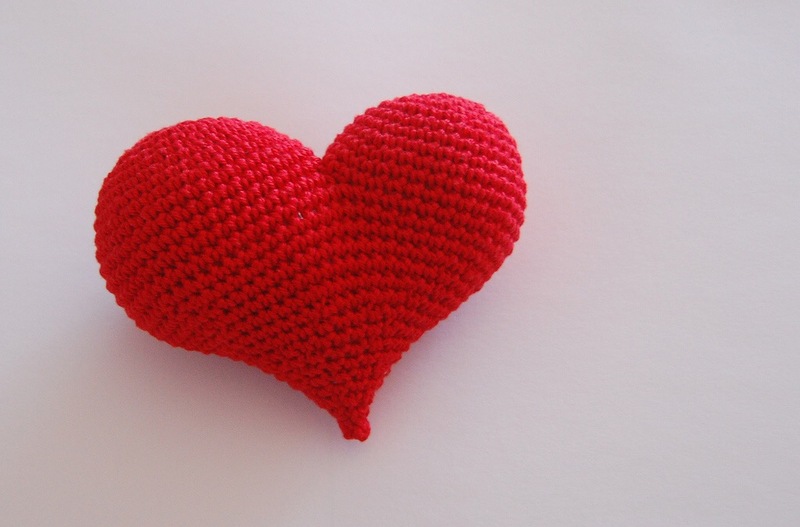 Nevertheless, we are wondering if there is a dateline to contribute to the crocheted hearts?